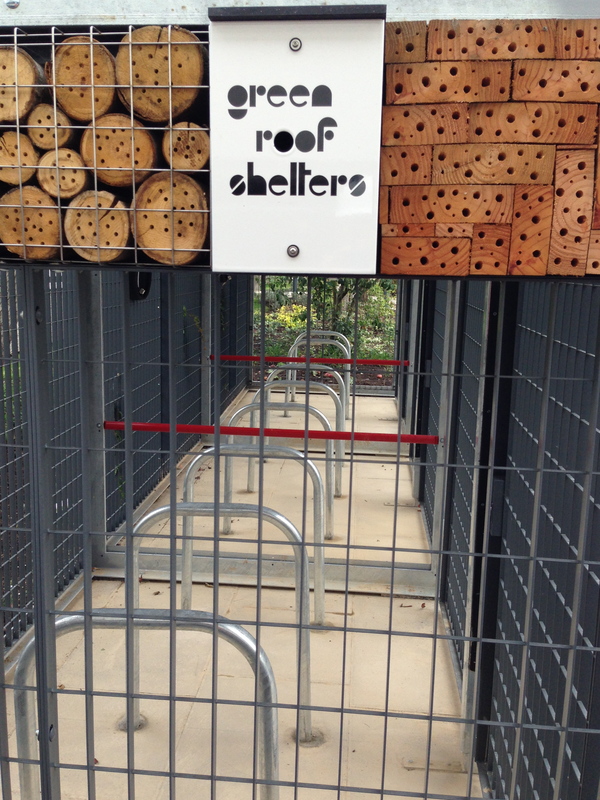 Islington’s Six Acres estate took delivery of 20 Green roofed secure cycle shelters for its resident cyclists. Simply lifted into position from the delivery lorry, with their 1.2 tonnes of growing roof, they are planted with our mix of low maintenance, nectar rich plants, and also include log piles for beetles, our wildlife habitat panels for solitary bees, and bird nesting boxes. 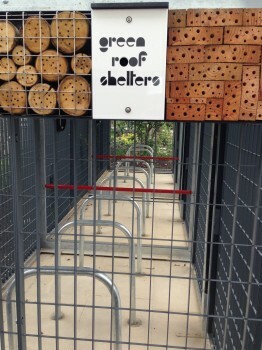 Cyclists have keyed access to the secure shelters as part of a registration scheme. As they’re quite local to some of us, we’re looking forward to monitoring the planting through the seasons, and following the invertebrate use and nesting.